It’s often said that there is great value in having a distinct shirt at WWDC, and while I’m not very preoccupied with that notion myself, I do have great fun in designing shirts. I first wanted to print a larger version of my twitter user picture, but I was curious if I could design something that was a bit more relevant to my work. And I settled on this design. Hey, doesn’t everyone love exploded items on shirts these days? 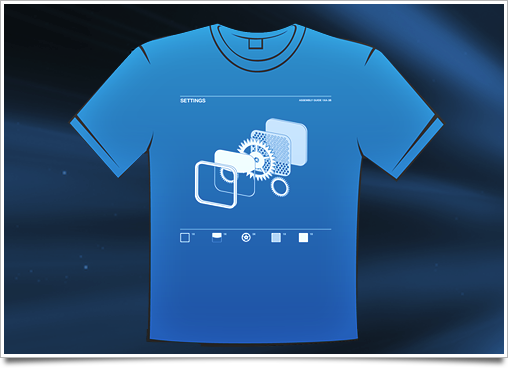 A nice large version of the shirt design is up on my flickr. I’m printing 6 of these shirts today, and one of them will be sent off to a happy owner in a new giveaway post that’s coming up soon. Let me know if you’d like one of these shirts; with enough demand, I might print a few more. iPhone icons are gorgeous. The home screen is a beautiful display of icons that have been extremely carefully designed to achieve a stylistic balance. 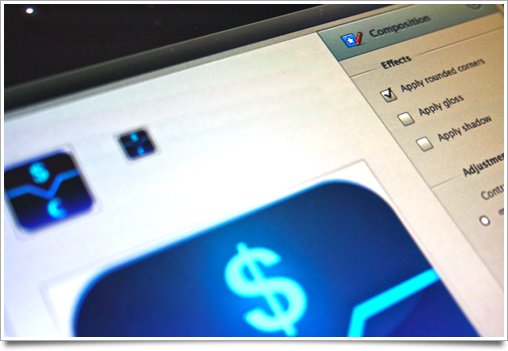 On the desktop, the same applies, but icons have far less ‘rules’ imposed on them, and are generally very diverse in their appearance. 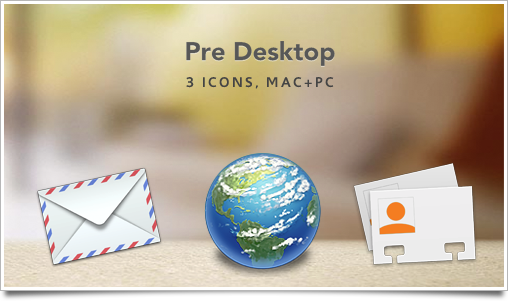 One could conclude that there is less consistency in the design of desktop icons than there is in iPhone application icons. As a result, icons in the Mac OS X dock also generally have less trouble looking good and blending in with the system icons. There’s simply more room for creative freedom and slight stylistic differences. The iPhone is a different story. I keep all third-party application icons (apart from a few notable exceptions) off my home screen, because they stick out like a sore thumb. Why is this, when it is so seemingly simple to fit into the consistent design standard, and what can Apple do about it? I really resisted the idea of writing a bit about myself, initially, but this year I was interviewed by newspapers and on radio shows and it seemed weird to not have something up on the place where I ‘live’ my professional life: on the internet. I think it’s also good to have something to link to for the ‘About me’ button. I am Sebastiaan de With, a 2122 year old freelance designer and one-man company. I specialize in icon and visual interface design and consultancy, but I also design logotypes, and maintain a blog and a website service that teaches you how to design icons. I occasionally do presentations for teams and companies, too, on making apps that are beautiful and fun to use. I live and work in my own studio in the northern region of the Netherlands, a tiny country in the west of Europe. 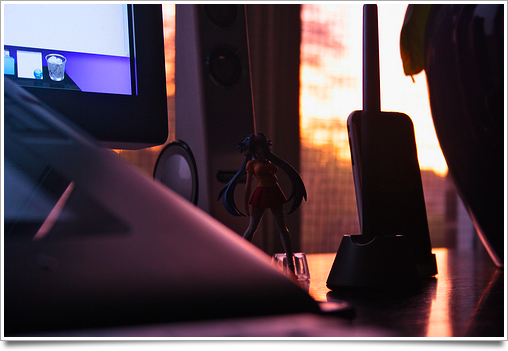 I love Macs, technology, gaming, reading well-written stuff, mecha, and kittens – but that should be obvious. Everybody loves kittens.